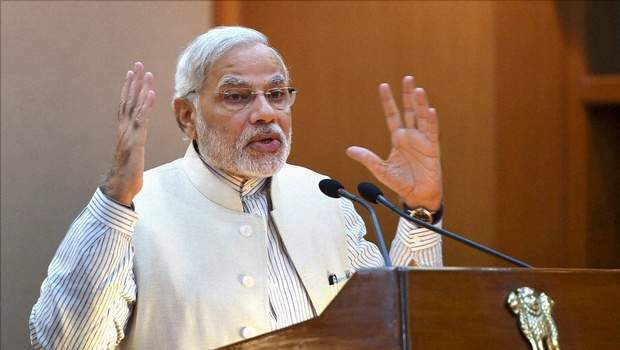 MUMBAI: The rising crude prices have not resulted in a spike in inflation and the macroeconomic fundamentals of the country remain strong, Prime Minister Narendra Modi said here today. Addressing the third annual meeting of the governors of the Asian Infrastructure Investment Bank (AIIB), Modi also said the BJP-led government is committed to fiscal consolidation. "Our macroeconomic fundamentals are strong with stable prices, a robust external sector and a fiscal situation firmly in control. Despite rising oil prices, inflation is within the mandated range," he said. The government is firmly committed to the path of fiscal consolidation, he said, adding the government debt as a percentage of GDP is consistently declining. "India has achieved a rating upgrade after a long wait," Modi said, adding India has emerged as a "bright spot" in the global economy, driving global growth with a USD 2.6-trillion GDP, that is expected to grow at 7.4 per cent this year. "The external sector remains robust. Our foreign exchange reserves of over USD 400 billion provide us an adequate cushion. Global confidence in India's economy is rising. Total FDI flows have increased steadily and India continues to be one of the top FDI destinations," he said. Modi also asked the AIIB to ensure that its interest rates are affordable and sustainable apart from expanding its loan book by ten times to USD 40 billion by 2020 and USD 100 billion by 2025.